Progress on the new Lakeside Lodge at Deerhurst Resort is progressing beautifully with hotel bookings now available for stays as of June 28th. 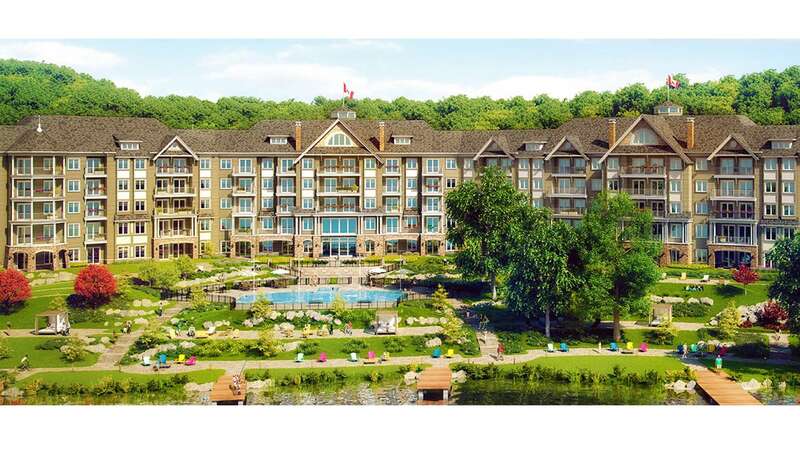 With a design inspired by Muskoka’s era of grand resorts, this majestic building is located on the historic site of the original lodge on the shoreline of Peninsula Lake. With commanding views and warm yet modern interior design themes, this new accommodation building will offer upwards of 100 fully appointed condo suites in a mix of one- and two-bedroom layouts ranging from 549 square feet to 1,228 square feet. While interior work is being completed, landscaping beautification will be done throughout the spring.